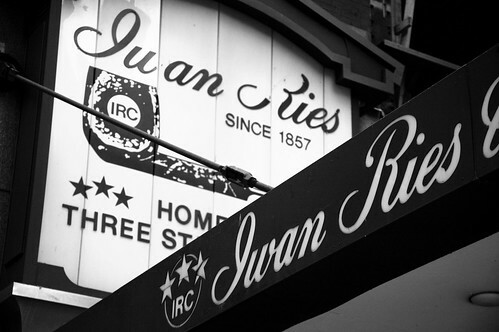 I was recently downtown and finally took a few photos outside Iwan Ries - the oldest and most famous tobacconist in Chicago. If you are a cigar or pipe smoker, and are in town, it's a necessary stop. The staff is knowledgeable and friendly and they have a great selection of everything. I have found that the local "cigar shop" is a great place to meet other men from the neighborhood and have great conversations. My favorite tobacconist, Bull and Bear in Saint Charles, is a place I wish I could spend much more time. It's one of those "third places" that offers more opportunities for conversation than almost any other.